No GRE or other entrance exam is required for this program. (TOEFL is required for international students.) A bachelor’s degree is required. 2. Complete the Graduate Admissions Application. · You can print out and mail in the paper form, which is available by clicking here. - For STUDY OBJECTIVE check “Graduate Certification (GCERT)” and write “Charitable Financial Planning” as the concentration. - The $50 application fee can be mailed with the application or paid online by clicking here. - Once arriving at “start a new blank application” select “create a new graduate school admissions application”. 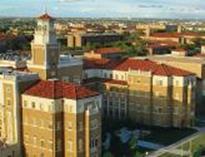 - Select Texas Tech University as the target university. - For “select your major” choose “Graduate Certificate Program”. - For “major area of interest” write “Charitable Financial Planning”. - For “Degree you will seek” select “Certification”. - At the end select, “CCFP - charitable financial planning” as your graduate certificate.